Imagine following a single play longitudinally, across more than two and a half millenia. Our playwright? The Bard himself, William Shakespeare. The play is one of Shakespeare’s richest, and with perhaps the most diverse legacy: The Tempest. Our task: to listen, and conduct, a conversation across the ages, as this one play carries seemingly all of humanity’s weight through time. We trace first of all many of the classical sources that are “written into” The Tempest — from Homer and Herodotus to Virgil, Ovid, Lucretius, and other ancient philosophers. Then, materials contemporary with Shakespeare appear — political allegories by Erasmus and Alberti, new world voyages, material on magic and science, current political developments and the fen-demons of Lincolnshire — that also get written into the play or touch upon it. Next, the great pivot, as we follow the influence of The Tempest down to the present, from Restoration drama, baroque opera, and the early history of colonialism, into the nineteenth century and the impact of Darwinism and the development of mass society as registered in responses by Ernest Renan and others. We dive into a variety of adaptations touching on debates about the cultural heritage of Latin America and about colonialism and postcolonialism in Africa, the Caribbean, and South Asia. We look at several plays (by Dryden, Renan, Cesaire, and Virahsawmy, though we could also have read David Malouf and Philip Osment); contemporary opera appears, including the Met’s Thomas Ades Tempest. Poets, too, including Shelley, Browning, Eliot, Auden — all of The Sea and the Mirror — Robert Hayden, H.D., and several contemporary poets from the Caribbean, including Kamau Brathwaite, David Dabydeen, Marlene NourbeSe Philip, and John Agard. We study great Tempest films by Derek Jarman and Peter Greenaway, and novels by George Lamming, Michelle Cliff, and Aoibheann Sweeney. The materials come from Europe, North and South America, the Caribbean, Africa, and South Asia. Spectacular guest sessions will be led by great Yale faculty. 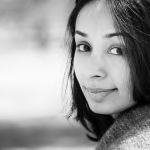 Gundula Kreuzer from music; the wonderful Dudley Andrew to talk about the films; Ayesha Ramachandran – author of an acclaimed recent book on Renaissance Mapping, will guide us in class, and then at Sterling Library’s magnificent Map Room (after we read her new book!). A fantastic Beinecke visit is planned, as is a live performance by students from the Yale Drama School to stage something for us. The Yale Center for British Art is another amazing resource we will utilize. Yale’s treasures will open wide for our inquiry. This is a different, humanist way of looking at “World Order.” It is global in scope, crosses continents and millenia, to say nothing of media (drama, poetry, philosophy, opera, film, and visual arts). It puts Shakespeare and Shakespeare’s influence at the center of a dialogue between the classics and the contemporary, including postmodernism, postcolonialism, and considerations of race, gender, and sexuality. In a course like this, that the worlds of art and intellect transcend contemporary “culture wars.” Through our journey, we will also see what is really going on globally in the arts, at Yale, and in contemporary scholarship in the humanities. Our guides on this journey could hardly be any more spectacular. The entire enterprise was conceived by Professors Lawrence Manley – well known and loved by Yale for Life scholars after his star turn for us in our course, “The Renaissance;” and Emily Greenwood, current Chair of Yale’s Classics Department, and so renowned a teacher that she was chosen to deliver the “Keynote” to Yale’s incoming freshmen this year – an honor bestowed on Yale’s greatest teachers, and therefore, an appropriate one in this case. Our professors conceived of this unique course, and taught it in Yale College, to wide and uproarious acclaim, two years ago. What a privilege it is for us to present it to you. 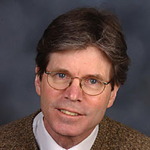 Lawrence Manley has taught at Yale since 1976, and chaired or directed many Yale programs and Departments, including Renaissance Studies, Theater Studies, and the Department of English. He specializes in literature of the English and Continental Renaissance, theater studies and the history of literary criticism. He taught “The Renaissance” in Yale for Life in 2015, and has received many academic and teaching honors. Emily Greenwood is Professor of Classics and Chair of the Classics department at Yale. She trained at the University of Cambridge and then taught at the University of St Andrews in Scotland before joining the faculty at Yale in 2009. 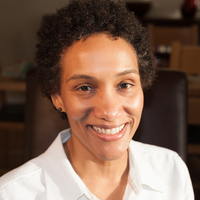 She specializes in ancient Greek prose literature of the fifth and fourth centuries BCE, with a particular interest in historical narratives She delivered the Yale College Keynote Address, “The University We Build,” in 2017.Her current research projects include reading Thucydides as war literature, and a tentative, tropological encyclopedia of Black Classicism. She is the recipient of many awards, including the Runciman Award in 2011. Dudley Andrew is a pioneer in the field of Film Studies. Filmmaker, comparative literature professor, critic, and prolific author, he has been at Yale since 2000. He taught in Yale for Life in our “Revisiting 1914-1945” course. He is an “officier de l’ordre des arts et des lettres” and received the Lifetime Achievement award from the Society for Cinema and Media Studies. Among Professor Kreuzer’s many specialties are history and theory of opera (particularly of the nineteenth century), with a special focus on staging, technology, and mediality. In both her writing and her teaching, Kreuzer approaches music from a wide range of interdisciplinary perspectives, such as social, cultural, and political history as well as theories of technology and multimedia. All Yale for Life courses actually start months before our June meeting. After registration, you will receive all books and scholarly articles for the course, and will immerse yourself in great works curated by our faculty. “The Dark Arts of Civilization” is no exception, with works ranging from contemporaneous writings to great books written by your own Yale for Life professors. Primary sources will mix with authoritative texts to produce night after night of joy as you prepare for your return to the life of the mind. 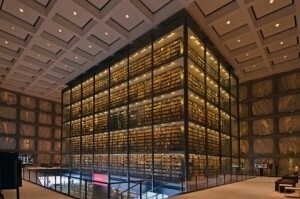 Yale’s legendary Beinecke Rare Book and Manuscript Library, the largest Rare Book library in the world, will open its vaults to Yale for Life, with a dazzling array of treasures reflecting themes of our course. Just a taste: how about a 1603 copy of Montaigne, or a Shakespeare First Folio? Kathryn James, Curator of Early Modern and Osborn Collections, will be our guide as your breath is taken away.